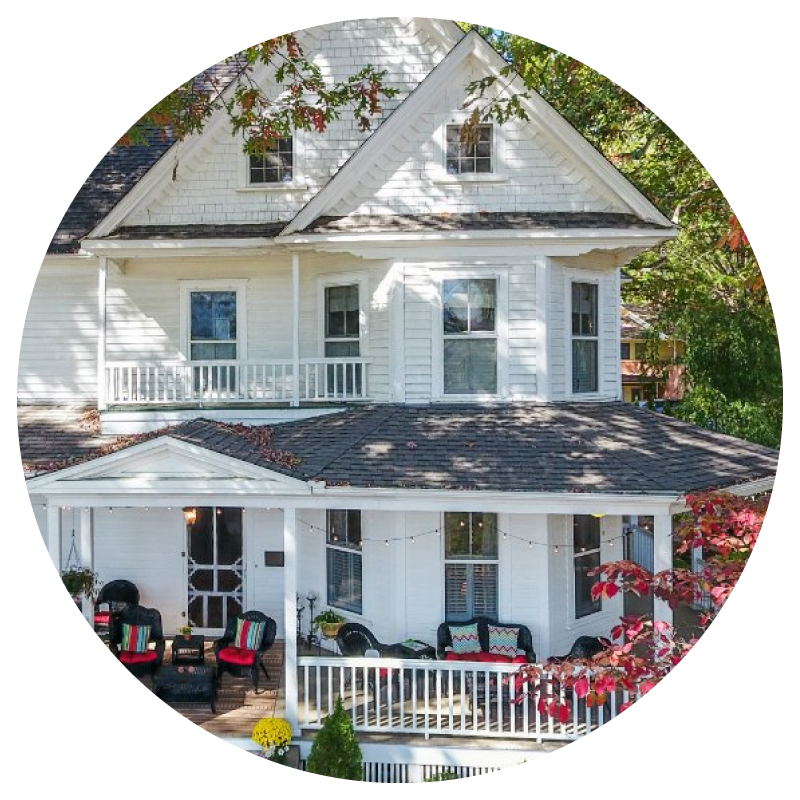 Oak Hill on Love Lane is a gorgeous bed and breakfast inn located in the idyllic mountain town of Waynesville, NC. As the innkeepers’ business flourished, they knew that an SEO research & content strategy partner would be invaluable in their continued success. They wanted to better understand their audience, target higher quality guests & increase online bookings. They also needed a strategic content and newsletter creator. Mountain Laurel Digital was chosen as Oak Hill’s marketing, SEO, and content partner. Our partnership started with market research, which led to an understanding of the demographics and valuable keywords needed to increase Oak Hill’s organic search presence. Generating quality target personas and matching them with highly searched keywords relevant to their buyers’ journey. Our partnership began with a technical SEO audit of the Oak Hill site to gauge traffic & the effectiveness of their formal SEO targeting strategy. Our audit dove into their site’s analytics, user experience & content, giving the MLD team a starting place for analysis. We also conducted a competitor analysis, profiling other B&Bs around Asheville. By comparing the technical audits & target keyword strategies of Oak Hill’s competitors, we were able to very clearly understand the differentiating characteristics that make Oak Hill so amazing and unique. After looking at the audits, we created a regional keyword strategy & compared that to our persona targeting strategy. 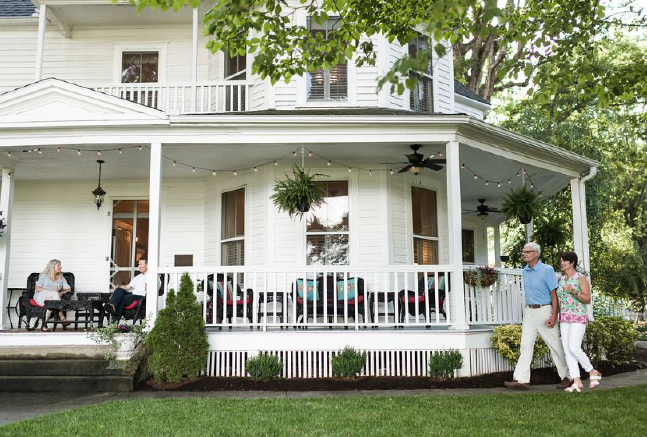 In order to increase Oak Hill’s quality online reservations, we needed to focus our strategies on attracting guests who match Oak Hill’s culture & service offerings. While the internal audit & competitive analysis were foundational to creating Oak Hill’s target personas, we also conducted interviews & utilized market research to come up with search intent stages for each persona. By understanding the potential needs & decision making processes of bed and breakfast guests with an interest in the area, we are able to pair the keyword strategy to consumers’ search queries. We collaborated with Oak Hill to create brand messaging, weaving valuable keywords naturally into the content and highlighting the history of the elegant and cozy accommodations that are the definition of southern hospitality. Using the new brand tone and messaging as a guide, we optimized Oak Hill’s title tags & meta descriptions, along with their Google My Business listing. In addition to our optimizations and brand development work, we recommended Chelsea Lane Photography to take modern, romantic photographs. The photos are being updated to the site, and will become a powerful vehicle in improving the user experience and conversion rates onsite. The fresh images showcase the magical feeling of staying at Oak Hill B&B and are the perfect compliment to our SEO and content additions. We continue to develop monthly content strategies for the brand’s newsletters & blog posts. We forecast trending topics within the industry and targeted demographic, and our comprehensive content ideation is also informed by designated keyword and persona research. We offer the monthly plans and also write and optimize the blogs and newsletters with feedback from the innkeepers. Monthly blogs & newsletters are incredibly marketing tools; they not only increase direct & organic traffic, but they also allow Oak Hill to control their narrative, brand tone, and continually engage current and potential guests. As a result of our partnership, Oak Hill on Love Lane has seen an increase in organic traffic and new leads from quality guests. Branded and non-branded keyword searches have increased, resulting in an awesome 18 keywords on the front page of Google! Our Director of Content Strategy continues to partner with Oak Hill to create seasonal blog content that aligns with our persona & keyword research. Quality content updates are a driving force for increased organic search presence, thus her monthly blogs feature information relevant to local tourists, exciting announcements, new package offers, and romantic activities to partake while staying at Oak Hill on Love Lane B&B.